"You either self-destruct or you become a champion for others." A Q&A with Judge Donna Groman, a 2018 Distinguished Service Award recipient, who overcame a tough childhood to become an advocate for California's at-risk youth. 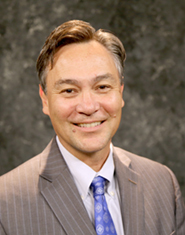 A Q&A with Steve Binder, a 2018 Distinguished Service Award recipient from San Diego whose innovative court model started a nationwide movement. The Judicial Council at its Sept. 20–21 business meeting will discuss recently signed legislation related to money bail, online traffic proceedings, electronic access to court records, and more. At its July 20 business meeting, the Judicial Council approved funding for the state’s 58 trial courts, including $47.8 million in new funding to boost the budgets of the neediest courts. At its July 20 business meeting, the Judicial Council will consider new funding for the state’s 58 trial courts, including $47.8 million to boost the budgets of the state’s most underfunded courts. On July 1, 1999, the "One-day or One-trial" policy in state courts. 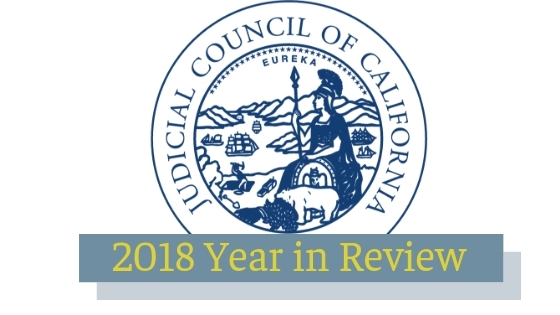 "The judicial branch budget presented by the Legislature and signed by the Governor represents a tremendous investment in providing equal access to justice for all Californians," the Chief Justice said. Court interpreters from around the world convened at the Judicial Council June 5 for the start of a four-day conference on the challenges and solutions in legal interpreting in the U.S. and Europe.